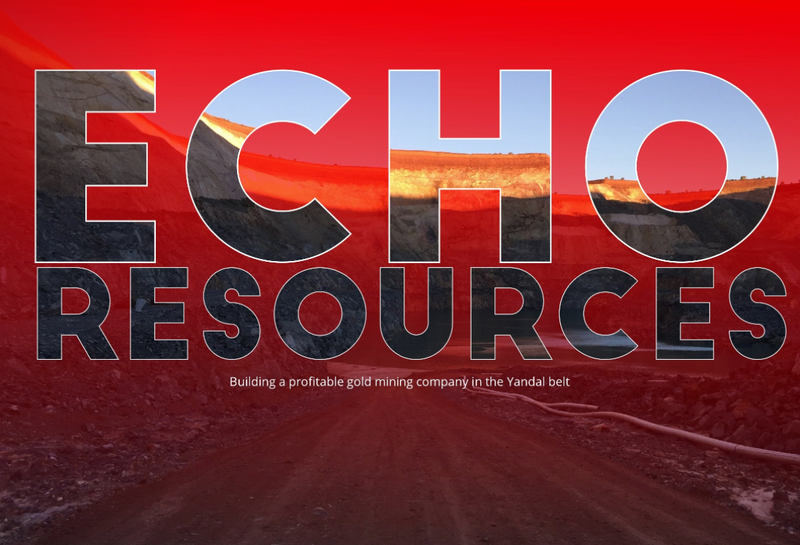 Echo Resources listed on the ASX in 2005 after purchasing a large tenement package from Newmont Mining in the highly prospective central Yandal greenstone belt of Western Australia, roughly 400km North of Kalgoorlie. In the proceeding decade the company went about conducting comprehensive exploration programmes across the central Yandal, which led to the discovery and establishment of Echo’s flagship gold deposit, the Julius Gold Project as well as a series of furtherdiscoveries including the Orelia deposit In February of last year, changes at management and board level gave the firm a big injection of funds and reinvigorated Echo’s existing exploration work, leading to a 12,000m drilling programme at Julius which resulted in a tantalising maiden resource estimate of 335,000oz. “At that stage we recognised through a scoping study that we had a significant project on our hands, so we then started looking for a pathway to production – ‘How could we monetise Julius?’ That led us to completing a merger with Metaliko Resources,” says managing director and CEO Simon Coxhell. Metaliko was a neighbouring ASX-listed company with a large contiguous land mass to the South of Echo’s tenement package which contained in excess of 500,000oz of gold. However, crucially the company owned the Bronzewing Processing Hub, a facility which was last in operation between 2010 and 2013 on the site of the historical Bronzewing gold mine. The obvious synergies between the two companies were finally consolidated in January of this year, with Echo’s takeover of Metaliko providing the company an excellent pathway to production for its Yandal assets, particularly the Julius and Orelia deposits, through the mineral treating facilities at Bronzewing. Before delving into the company’s recent acceleration of the Julius project, it is important to consider the factors which attracted Echo to establish an extensive 1,600km2 tenement package in the Yandal belt region. For Coxhell, the Yandal represents an area which has been proven down the years to contain substantial gold resources and ore reserves, but has also been very much under-explored in the contemporary mining era of the region. However, despite the overarching region’s history of proven resources through various exploration and development projects, the Yandal remains a juvenile mining belt in comparison to nearby sites. The greenstone belt was only really recognised in the 1980s through the work of prospector Mark Creasy, the original discoverer of the Bronzewing mine. The area’s complex geological formation is such that the younger Tertiary age rock (30-40 million years old) masks the underlying Archean bed rock (2.4 billion years old), which hosts the gold mineralisation. Therefore, this complex sequence of overburden concealing the underlying gold-bearing bedrock has resulted in the Yandal being significantly unexplored in comparison to the wider region. “Given that the nearby Wiluna and Kalgoorlie belts were all discovered at the turn of the 1800s, there has been active exploration and development over those greenstone belts for well over 100 years,” explains Coxhell. At the turn of the year, Echo published its bankable feasibility study (BFS) for the Julius deposit, a significant turning point in the project and the firmest step taken by the company in monetising Julius. “All the approvals for Julius are in place, mining leases have been granted, we have negotiated a mutually beneficial relationship with the native title holders over the ground, so all the permits are in place. The BFS estimated that the Julius deposit contained a mineral resource of 335,000oz @ 2g/t Au and a mineral reserve of 68,000oz @ 2.4 g/t Au, with a strip-ratio of 5:1 and a calculated cash cost of AUS$832/oz at a gold price of $1,600/oz. “From the BFS we know that the gold mineralised system at Julius is well and truly alive and there is plenty of scope to expand the existing 335,000oz resource, and more importantly the reserve. The overall cost of renovating the 2mtpa processing mill at Bronzewing was set at $12.5 million in the BFS, which further affirms the facility as an inexpensive, low-risk entry into production for Echo and the Julius deposit. In fact, having spoken to neighbouring companies in the region regarding the costs of external mineral treatment services, the economic advantages of owning Bronzewing processing facility are even more apparent to Coxhell. Prior to acquiring Bronzewing, Echo undertook important market research and discovered that most mining firms working in the region were paying $45-55/t in processing costs to exterior mineral treatment companies. However, the processing cost for Echo using the Bronzewing facility has been estimated in the BFS as $22/t, clearly a considerable mark-down on the going rates for mineral processing services in the region. “Now, I’m quite confident that ultimately, we will end up with 2mt of economic reserves from Julius and substantial resources and reserves from Orelia. “If one assumes we make say $20/t profit from not using a mineral processing company, that effectively equates to $40 million of extra profit from the project, which would otherwise go to a treating company,” Coxhell postulates. Echo has masterminded a winning formula which fuses the possession of high quality ore reserves with a cheap entry into production, which should maintain profitability even through any potential volatility with regards to gold prices and general conditions in the mining sector. “What we consider to be the ‘Echo advantage’ is operating very good open pits, low strip ratios and high-grade ore recoveries,” exclaims Coxhell. Over the last six months Echo has also placed a focus on further investigating some of its other assets in the tenement package, including the historical Orelia deposit which is located just 8km from the Bronzewing processing plant. Echo recently conducted a drill programme which consisted of drilling 26 holes to approximately 2,700m in the base of the Orelia pit, the results of which have been met with much optimism by the firm. In addition, the company has also commenced drilling programmes in the Empire District, which is roughly 40km from Bronzewing, and home to several ore deposits including the Wimbledon, Shady Well, Orpheus and Tipperary prospects which have all been drill tested to various degrees, with deeper drill programmes to come next year. “All of the management team are as enthusiastic as I am about building a profitable gold mining company in the Yandal belt and are very excited by the opportunities that both the large prospective ground holding and our cheap entry into production will bring,” says a jubilant Coxhell. With access to its own mineral processing facility in close proximity to its high-grade ore deposits within a long-established gold-bearing region, the CEO has every reason to be bullish about the fortunes of Echo Resources.